Sun Chang, 21, is a student of Alan Chow at Northwestern University. She is now in Chicago finishing her degree in piano performance after a year abroad at the Royal Academy of Music in London studying piano with Rustem Hayroudinoff and harpsichord with Carole Cerasi. She recently was featured on “Live from WFMT,” hosted by Kerry Frumkin, and gave a solo recital at Preston Bradley Hall at the Chicago Cultural Center. This collaboration with Camerata Chicago is not the first- in September 2015, Sun was a soloist in the all-Gershwin concert featuring Sylvia Mcnair. She has also soloed with University of Puget Sound Orchestra, Philharmonia Northwest, Utah Symphony and Northwestern’s Baroque Music Ensemble. Her primary training is from Dr. Peter Mack with whom she studied since her move from South Korea to the States in 2003. 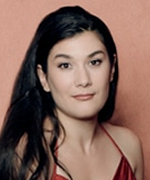 While in Seattle, she was chosen as one of Seattle Chamber Music Society’s “Emerging Artists,” and won most of prominent competitions in the area, including the Simon Fiset, Northwest Chopin, Russian Chamber Music, Seattle International Piano Festival and Outstanding Young Artists competitions. In 2011, with her brother, she won the first prize at the MTNA National Senior Duet Competition. Sun has a prolific collaborative career. 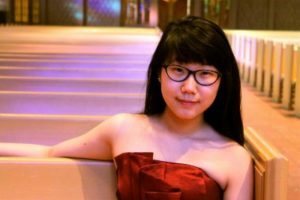 In addition to playing harpsichord in the Baroque Music Ensemble, she frequently performs sonata repertoire, plays in chamber settings and premiers new music. 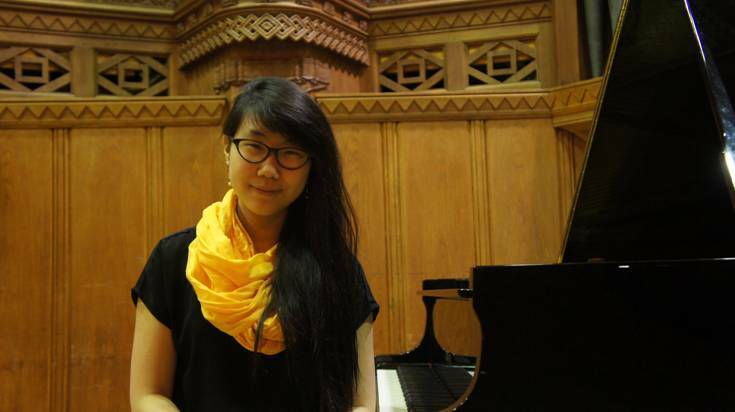 Sun is a Luminarts Fellow at the Union League Club of Chicago, and a recipient of the Jerome and Elaine Nerenberg Foundation Scholarship from the Musician’s Club of Women. 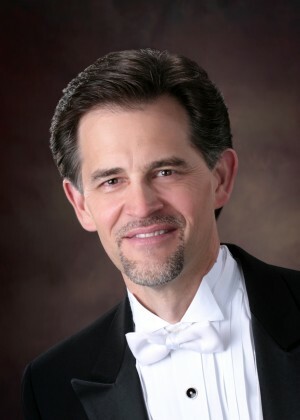 Conductor Daniel Sommerville is Professor of Orchestral Studies at the Conservatory of Music of Wheaton College, where he conducts the award-winning Wheaton College Symphony Orchestra (third place in The American Prize for college/university orchestra performance, 2012) and teaches conducting. Under his leadership, the orchestra has collaborated with such notable musicians as Sylvia McNair, Marvin Hamlisch, The Hubbard Street Dance Company II, Joel Grey, as well as many of the outstanding faculty performers of the Conservatory of Music. In addition, Dr. Sommerville has prepared the orchestra for the eminent conductor John Nelson on seven major choral-orchestral collaborations over the past twenty years. Other notable musicians with whom Dr. Sommerville has collaborated include Alexandre Da Costa, Christopher Frohn, Judith Ingolfsson, Ignaz Michieles, Albert Wang, Oliver Colbentson, Douglas Yeo, Denis Azabagic, Nicholas Roth, Gwynne Geyer, William Dresden, and Vakhtang Kodonashvili. 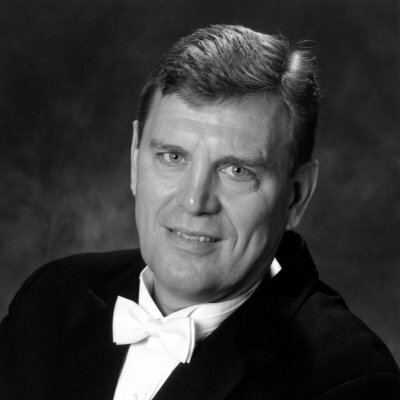 He has served as conductor for the Alexander Toradze Piano Festival in South Bend, Indiana. Collaborations with notable jazz musicians include Frank Mantooth, Rob Parton, and Margaret Carlson. 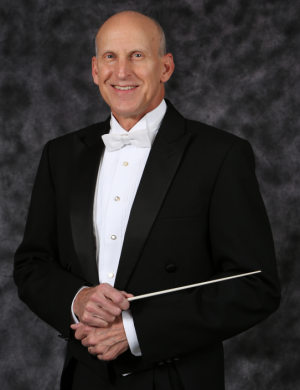 As a teacher of conducting, Dr. Sommerville has been one of two master teachers at one of the Conductors Guild National Workshops, at which the Wheaton College Symphony Orchestra was the host orchestra. He has also served as one of two master teachers at the national conference of the College Orchestra Directors Association held in Atlanta. In both instances, he coached promising young conductors from across the country, from undergraduate students to post-doctorate. Daniel Sommerville holds Masters and Doctorate degrees in music from Northwestern University. In addition, he has studied conducting with such notable conductors as Sir Georg Solti and Herbert Blomstedt. Past conducting posts include the Elkhart County Symphony Orchestra (Indiana), the Westminster Chamber Orchestra (Illinois) and the Metropolitan Youth Symphony Orchestra of Chicago. He has been guest conductor of the Sarajevo Philharmonic in Bosnia. 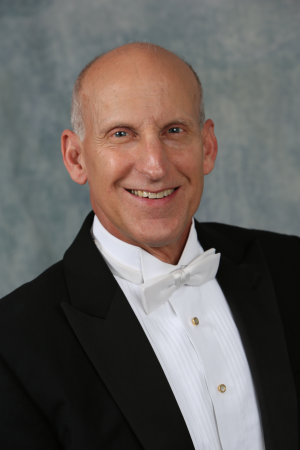 He has had recent guest conducting appearances with the Fox Valley Orchestra and the DuPage Symphony Orchestra, and is an active clinician and guest conductor for high school honors orchestras. Hailed as one of the “nation’s most promising composers” (American Composers Orchestra) and a writer of “highly atmospheric” (The Portland Press Herald) and “nimbly woven” (New Music Box) music, composer Jonathan Blumhofer was born in Brooklyn, NY in 1979. His first musical activities involved studying violin and piano, and he later took up the viola. 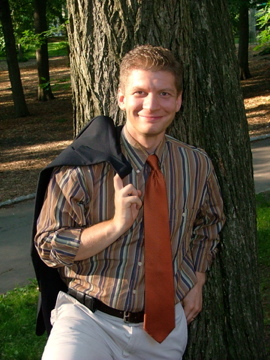 Jon’s compositions have received numerous awards and honors, including recognition from the American Composers Forum, the American Composers Orchestra, ASCAP, the Worcester (MA) Arts Council, the Longfellow International Composers Competition, Boston University, and the Boston Conservatory, among others. His compositions have been performed and recorded by a number of ensembles in the United States and Europe, including the Dreamsongs Project, the Worcester Chamber Music Society, the American Composers Orchestra, the Kiev Philharmonic Orchestra, Xanthos Ensemble, Juventas New Music Ensemble, and the Camerata Chicago. As a writer and scholar, Jon’s research interests include American music (particularly the music of Leonard Bernstein and John Adams), 20th century music, and modern European history. 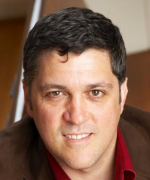 Jon has taught at Clark University and Worcester Polytechnic Institute, in Worcester, MA, online for the University of Phoenix, and at Gordon College in Wenham, MA. Jon earned his doctorate from Boston University, his Master’s degree from the Boston Conservatory, and his bachelor’s degree from Wheaton College. His principal teachers include Edwin Childs, Dalit Warshaw, Jan Swafford, Joshua Fineberg, Richard Cornell, and Samuel Headrick. Jon also studied with Allain Gaussin and Andre Bon at the American Conservatory in Fontainebleau, and with Ladislav Kubik at the Czech-American Summer Music Institute in Prague. An avid fan of Chicago Cubs baseball, food, travel, and wine, Jon lives with his wife and two children in Worcester, MA where, in addition to his aforementioned activities, he writes about music for the Arts Fuse and the Worcester Telegram & Gazette. In 2003 Jonathan was specially commissioned to write Variations on Thaxted for Camerata Chicago’s inaugural season. It is being performed at the Sweetest Day Series 2016 concerts.